﻿ Is it wrong to fall in love with a torque wrench? Is it wrong to fall in love with a torque wrench? Call me sad, but I quite often get attached to my tools (and no, I'm not talking about after-hours superglue experiments, here). 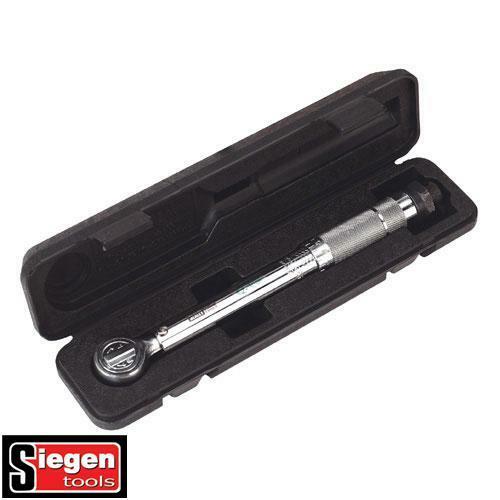 Today, I became the proud owner of a Siegen 3/8in square-drive micro-adjustable torque wrench, and it's captured my heart. Having spent the lion's share of my lunch break clicking about on it to achieve different torque settings (it operates in the range of 40-80ftlb), I've vowed to spend as much of the weekend as I can checking that the major elements of my new Kawasaki ZX-6R long-term test bike are at the correct settings (which they should be, it only having left the factory 260 miles ago), and tightening as many bolts as I can find in the house. You never know, I might stop the roof from falling down around our ears. To shop for motorcycle tools, click on MCN Shop.